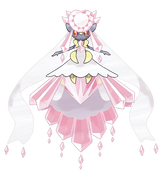 Mega evolutions were first introduced in the 6th gen games Pokemon X and Pokemon Y. With the release of Omega Ruby and Alpha Sapphire more mega evolutions were introduced. This is a list of mega evolutions announced before the release of the games. This was first revealed in CoroCoro leaks in June 2014. This Pokemon was revealed in the CoroCoro magazine released October 2014. The Attack and Speed stats will be boosted. This Pokemon was revealed in the CoroCoro magazine released October 2014. This reveal was accidentally uploaded to the Pokemon website in Korea. This Mega Evolution was first discovered in the Japanese demo version of Pokemon Omega Ruby and Alpha Sapphire. 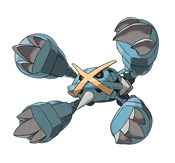 This Pokemon was first revealed June 11th, 2014. Once Sableye has Mega Evolved, the jewel on its chest will swell and become detached from its body. It is said that the jewel hardens into such strength that no attack can even make a scratch! Revealed in CoroCoro September 2014. Revealed in the September 2014 CoroCoro magazine. Omega Ruby and Alpha Sapphire. Revealed in the August 2014 CoroCoro magazine. Revealed during a live stream of Pokemon Omega Ruby & Alpha Sapphire on October 2nd, 2014. 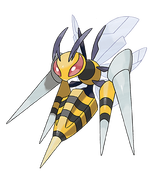 It is said to Mega Evolve in a different way to other Pokemon.